Does your organization tell a compelling, meaningful story that invites new ideas and innovative behavior? All organizations tell stories about themselves, through public communications, company lore, policies and daily interactions, modeling expected behavior for both insiders and outsiders.But not all organizations shape their stories with strategic intention, so that when external conditions change, the story changes too, modeling new behaviors that lead the organization forward. 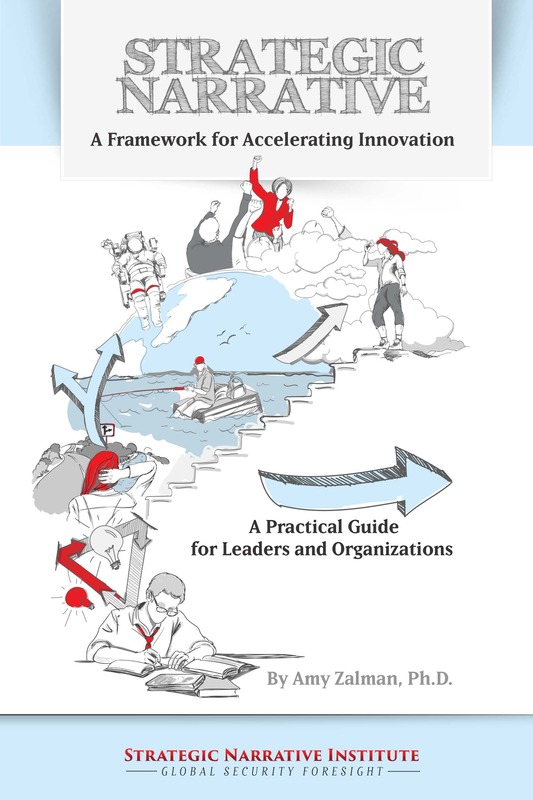 Strategic Narrative: A Framework for Accelerating Innovation, provides practical guidance and a concrete process for leaders and organizations to generate new narratives in transforming conditions. Visually engaging, the book communicates with original illustrations, worksheets and explanatory graphics throughout.